Facebook Advertising is a great sales and marketing tool for small business. You'll be targeting niche markets and keeping a close rein on your marketing budget. Take a look at this article to find out more. Facebook has changed the way we interact not only online but also offline as well. Whether you're an active user, watcher or dip in and out Facebook has empowered a whole generation to become more social. However for small business it's also a wonderful marketing tool that offers you an opportunity to reduce your general advertising spend whilst also generating more sales. If you're active on Facebook then they know pretty much most things about you. Over the years Facebook has been collecting information about who you are, what you do and what your friends have been up to as well. Any marketing department will see this information as pure gold when it comes to targeting marketing communications. Knowing what you like will allow us to send you relevant messages, information and adverts where we can say with reasonable confidence that you'll click on them. What this does is reduce marketing expenditure and brings us closer to buyers who are more likely to convert to a sale or enquiry. There are a few more ways, but for the sake of this overview we wanted to keep it tight and mention the ones that will give you a quick impact. Whichever you choose out of the first 3, "boosting" content allows you to highlight your Facebook Fan Page/Post or Website to people who are likely to "like" it or share it with their friends. You can demographically target your page as well as geo-target your boosted content and this niches up your budget with pin-point precision. Before you commit to boosting your content you'll be shown the expected number of "reach" which is the amount of people who will see your content over the course of time you've predefined your campaign to run for. It's really simple to do and you can spend as little or as much as you feel fit...whatever you spend, we know it'll generate results! We've kept the last option separate from the others as this runs slightly differently. These are sponsored adverts that will appear in people's feeds. You can choose your advert content, description and image. You can also select a "Call To Action" which if you're a client of ours is always something we bang on about as being super important! These adverts allow you promote your business to local people and can be really cost-effective if you manage them effectively. What does Facebook Advertising cost? This is all very much dependent on how you niche your campaign to a selected target market. The wider the geographic reach and the less amount of demographic data you choose the higher the costs will be. We always advise on setting a minimum budget of £10 per boost with that rising if you feel your content will be heavily liked or you're wanting to raise your brand awareness to niche market. For smaller businesses you'll realistically be looking at £50 per month if you're wanting local footfall to your store or shop. If you're wanting to really raise the profile then expect to pay around £300-£500 per month using the "Promote Local Business" advertising option. Facebook is a great advertising option, especially for small businesses. It can take some time to get your head around each option and we do advise that you spend at least 30 minutes a day reviewing your campaign to get the most out of your budget. If you feel that you need help setting this up or with managing the day-to-day running of it then please let us know and we'll be more than happy to help. 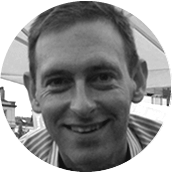 Nick is a confident marketeer with over 19 years of marketing experience for both B2C and B2B clients and has a strong focus on digital services that work with traditional marketing to create a holistic approach to client challenges.